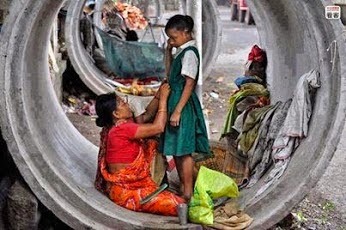 Girl and mother living in drainage pipe! Unbelieveable, we should be grateful for what we have. Their poverty is great!